Make the Most: A Weekend With My Brother! A Weekend With My Brother! 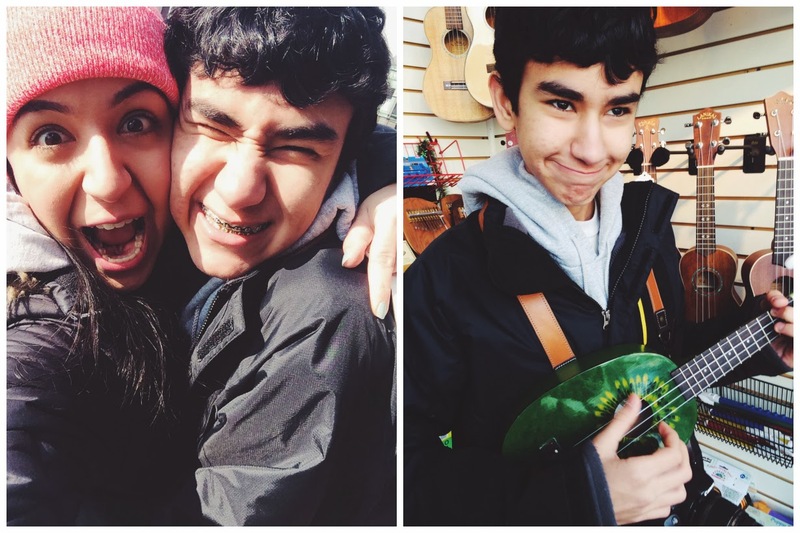 My little brother spent the weekend in the city with me last weekend, and we had the best time. I try to have him stay often, but this time it was different. As part of my list, I let him set the agenda. We went to places I've never visited and ate so much junk my body's still beating me up over it. I'm not health conscious by any means (eating chocolate covered raisins by the fistfuls as I write this), but when Armin left on Monday night, my body was screaming that enough was enough. Donuts, pizzas, macaroni and cheese (Kraft! the real deal! ), brownies for breakfast, Pringles, Doritos—my body was done. Hats off to teenage boys. 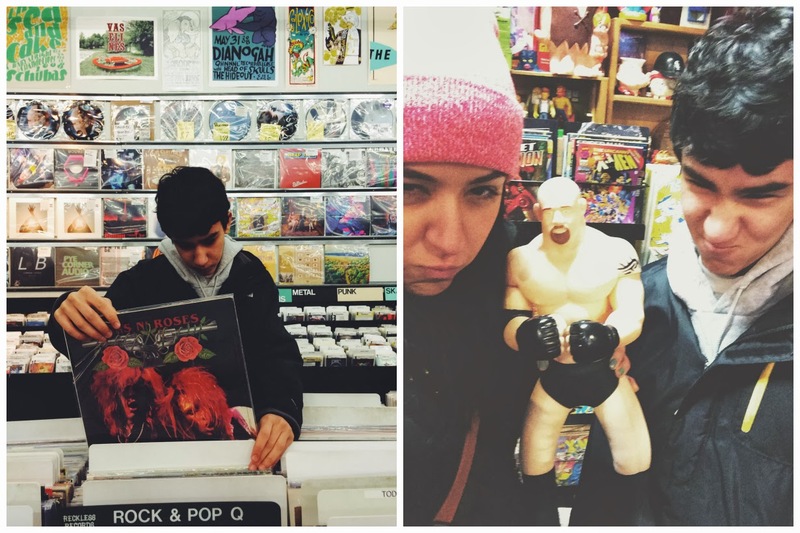 Armin plays the guitar and ukelele, so we spent our time visiting music and record stores. I got him a record player for Christmas, and he has become a big record collector since. 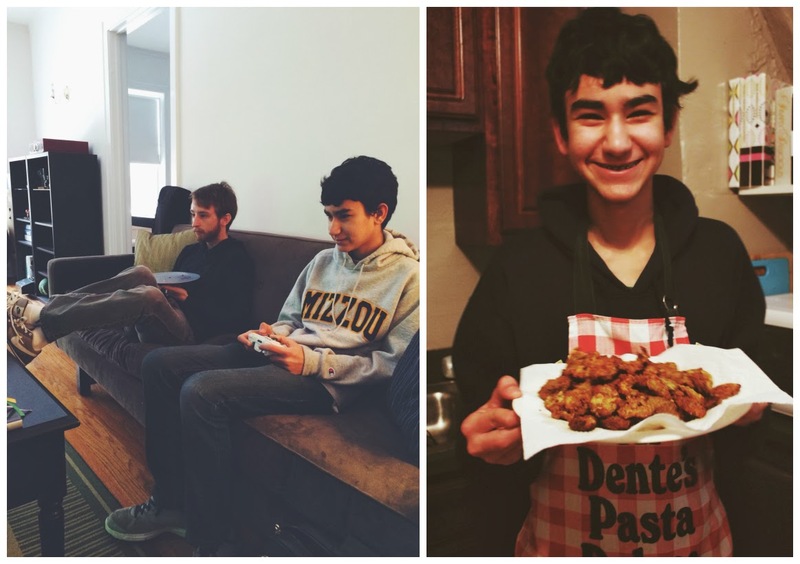 He also insisted on playing video games with Brian (a big reason he visits, I think) and making fried pickles (his newest favorite food, one not suited for making in my parent's top notch kitchen, perfectly suited for mine). It was so great having him here for a few days. I can't wait to repeat it when the weather's warmer. I realized a few times when he was here that he's really becoming an adult. We had some (kind of) mature conversations, and he was constantly making me laugh. He'll always be my little brother, but now he's also a great friend. I love you, Armin. Can't wait to do this again.